Gel polishes are taking over – and rightfully so. I’m sure we are all sick of manicures only lasting a day or two before they start to chip. 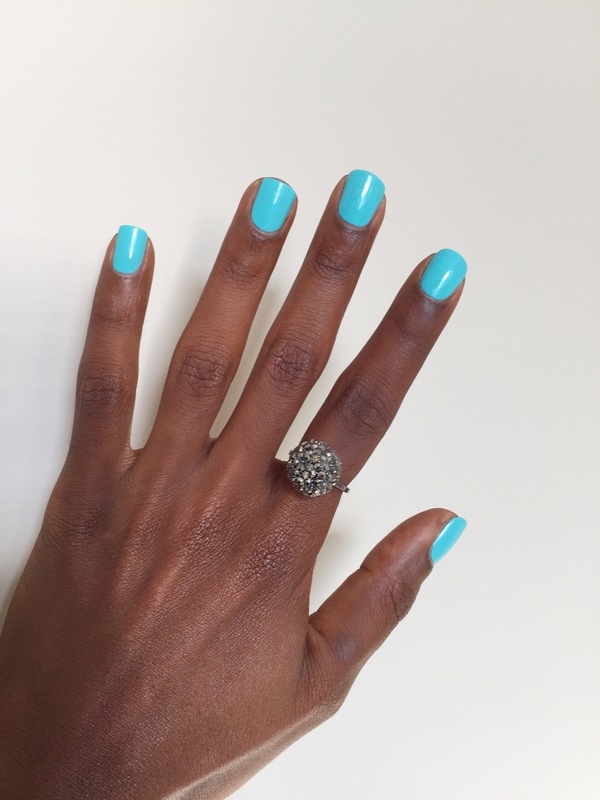 I remember the first time I got a shellac manicure, I was stunned at its longevity! It lasted 10 days without chipping and probably would have kept going if my nails didn’t grow so fast (I hate that “grown out” look and rushed back to the nail bar to get a fresh polish). Shellac manicures are fantastic thanks to their longevity, but the removal process is annoying and unhealthy. Who wants to soak their hands in acetone to get the shellac off, especially when it smells like paint thinner? Anyways, several brands such as Sally Hansen and Revlon have come out with their own lines of no-UV light gel polishes claiming to have the same staying power as shellac. I was curious about these polishes, so during my last couple trips to Sephora, I snagged two bottles of Nails Inc. Gel Polish. 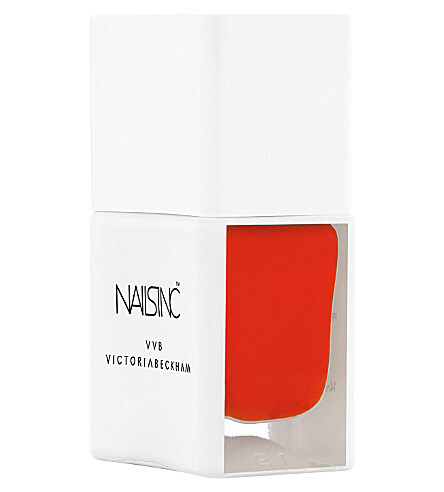 Nails Inc. claims to mimic gel formulas due to their “plasticizer technology”. This promises a thick, even, self-levelling finish and a huge amount of shine. What’s nice about this line is that it does not require a special top coat like Sally Hansen Miracle Gel, but it is suggested that the Kensington Caviar Base and top coat be applied to maximize staying power and shine. I didn’t bother getting either. 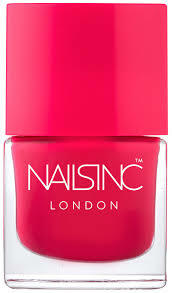 By the way, I feel that the Nails Inc. range has some of the most beautiful, “pop-iest” colours out there! Be sure to check out Judo Red too. WOW! 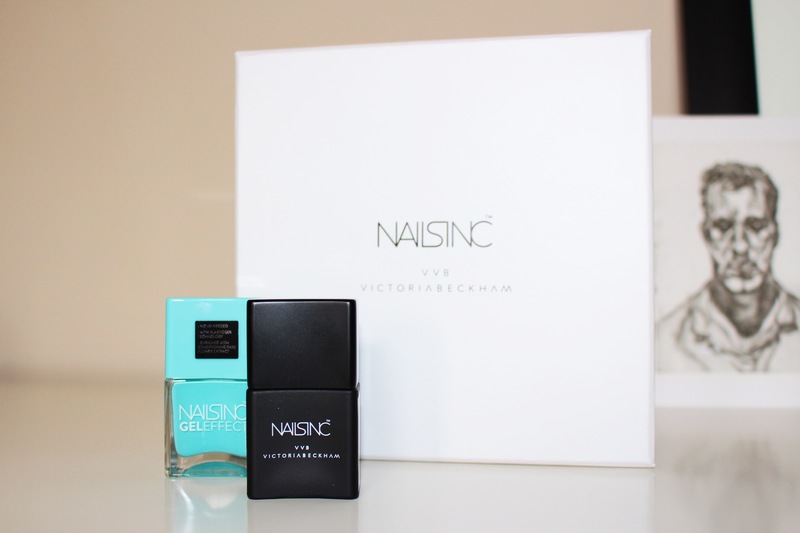 I picked up the Nails Inc. x Victoria Beckham gel polish in Bamboo White (shown below in matte black bottle) and Queens Gardens, the fabulous bright teal. Well, on Sunday night, I polished my nails using the Queens Gardens colour. I was blown away! The formula is thick and opaque, goes on very evenly thanks to that self-levelling technology I mentioned and was very shiny. I was sold! Now, I have to mention that I use Nailtek Nail Strengthener under every polish I use. This product is fantastic and thanks to it, my nails no longer peel, crack or break. I do notice though that it causes most nail polishes to not “cure” or dry properly. I used the Nailtek under the Nails Inc. polish and I found it took forever to dry completely, so I will provide a proper review when I redo my nails this weekend with this same colour. Overall, I give this nail polish a tentative two thumbs up! I will be heading back to Sephora soon to pick up Covent Garden Place – the most bright, happy, raspberry-coloured polish I’ve ever seen! Have any of your tried these Nails Inc. Gel Effect polishes? What are your thoughts? What are your favourite colours? Let me know if the comments section…because God knows, I need more nail polish. LOL! Previous Post Spring Haul 2015 – Check It Out On My Youtube Channel! Thank you, Jay! It’s such a happy colour! Such a gorgeous color! I’ll have to check out this brand. Thanks for sharing! You’re welcome! You really do. It’s fantastic!!! Sorry, but the nail color caught my attention more ? That color looks so good on you! Very summer! Thanks! It’s a new favourite!! Most definitely! I’ll repolish my nails tomorrow and start the longevity test! Lol! Haha! You are too kind! Yep – I’ll definitely be picking up the piano again soon! !